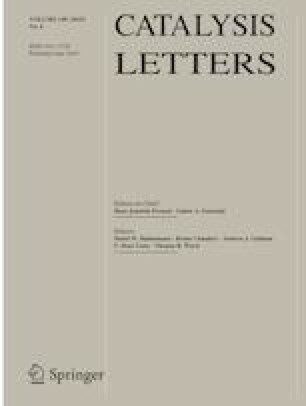 In this study, solid NMR characterizations including 29Si MAS NMR, 31P MAS NMR, 27Al MAS NMR, and 27 Al MQ MAS NMR were carried out to get insights on the difference of ammonium dihydrogen phosphate (NH4H2PO4) and trimethylphosphate ((CH3)3PO4) modified nano-sized H-ZSM-5 zeolites. Results show that (CH3)3PO4 is more suitable for the phosphorus modification of the H-ZSM-5 zeolite, because it can effectively interact with aluminum species and facilitate the formation of distorted tetra-coordinated framework Al bonded with phosphorous species. 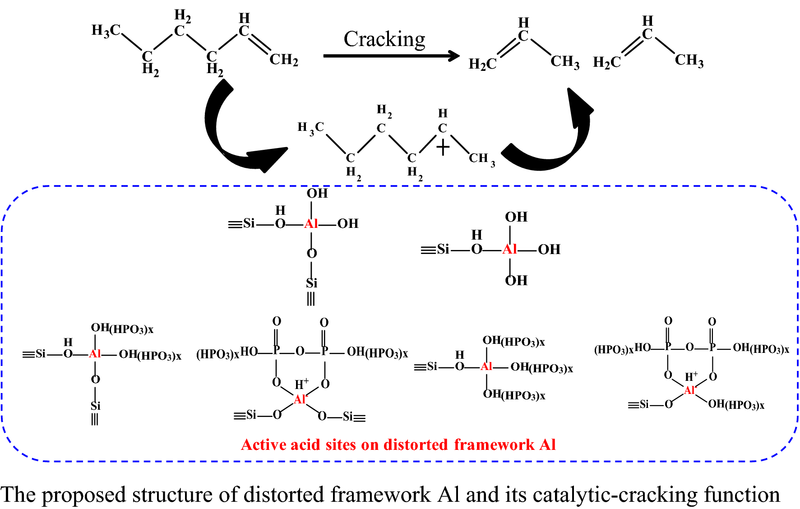 This distorted framework Al species can better maintain the acidity of original framework Al during steaming treatment at high temperatures, even up to 800 °C. Relating the NH3-TPD characterization results with the catalytic cracking performance of full range FCC gasoline over the as-prepared P/H-ZSM-5 samples, we found out that the phosphorus-stabilized distorted framework Al sites are highly acidic and active. The (CH3)3PO4-modified H-ZSM-5 zeolite exhibits bright future in the application of important commercial processes operated under severe hydrothermal conditions. The online version of this article ( https://doi.org/10.1007/s10562-019-02778-8) contains supplementary material, which is available to authorized users. This work was financially supported by the National Natural Science Foundation of China (21603023).